Working in Perth can be one of the most exciting prospects for foreigners who seek a twist to life that is both refreshing and rewarding. Perth may not be home to the highest paid workers in the world, but there are many opportunities for those who are qualified both by experience and education. With a total population of 1,972,358 people, Perth possesses an employment rate of 75% and offers many job prospects. Major job industries within the city consist of the mining industry, the food service industry, the accommodation industry along with professional, scientific and technical services. There are also various employment agencies that play a big role in bridging job hunters and employers. While there are more positions available in certain fields, the city is generally a hotbed for all types of jobs. There are various types of visas which authorize foreigners to work in Perth and the requirements are different depending on which type applies. Working visa availability includes the employer nomination scheme, employee sponsored permanent visa and the regional sponsored migration scheme. However, one all-encompassing requirement is for applicants to secure pre-arranged employment with an Australian-based company or organization. Only then can a foreigner be issued a visa to work in the city. Expats may want to consult professional immigration services to assist them with the required documents that are needed for a successful relocation. Another primary requirement for working in Perth or any other city is Australia is English proficiency. Regardless of profession, all applicants need to pass an exam that gauges the candidate's English level and initially determines his chances of being allowed to take up employment in the city. There will be different acceptable scores depending on the various occupational fields. People in Perth appreciate honesty and enjoy debating with someone who has a contrasting opinion as long as it is expressed politely. Australians are known for their casual and carefree attitude, but they are serious when it comes to work and are usually meticulous about punctuality. Avoidance of eye contact is considered rude or suspicious behavior. Formal business attire consists of a dark suit and tie for the men and a dress or blouse and skirt for women. Business meetings typically begin with a handshake and rarely end without an exchange of business cards. When working in Perth, the number of hours to be rendered depends on the employer, the position and even the industry where one belongs. A 39-hour work week used to be in order but since 1981, this has been reduced to 37 hours. However, many employees continue to work beyond this number, especially factory laborers who often have to work up to ten hours in weekly overtime. Blue collar jobs typically begin at 7 or 8 in the morning up to 3:30 or 4:30 in the afternoon while people who work in offices begin from 8:30 or 9:30 am and end at 4:30 or 5:30 in the afternoon with all workers being entitled to a one-hour lunch break. The average annual wage in Perth is 7,880 AUD, and many residents of Perth enjoy receiving higher wages than many other cities in Australia. National wages are expected to increase further due to the outstanding performance of the mining sector whose workers receive the highest annual pay at 103,111 AUD. Male workers receive an average yearly wage of A$69,233 and females, A$56,950. To receive wages, expats will need to open a bank account in Australia. 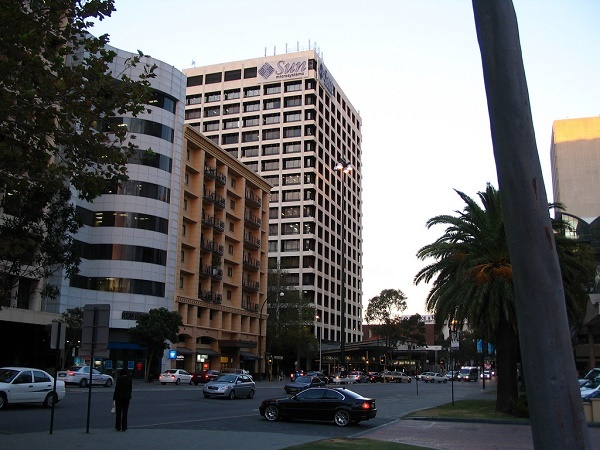 Common banks in the city include BankWest, ANZ Bank, the Commonwealth Bank, National Australia Bank and Wespac. Banking requirements usually consist of a Tax File Number, an Australian residential address, two forms of ID and the applicant must be 18 years old or older. The economic boom in Perth has led to the creation of various positions and opportunities and with an expat population of 34%, it’s easy to see why many expatriates have chosen to build a new home in this city which is currently enjoying raves as one of the top five most livable cities in the world.